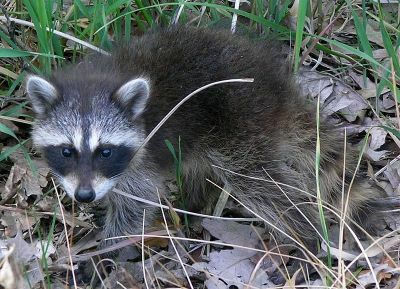 Did you know that killing raccoons is illegal in Toronto? Raccoons. Killing them. It's against the law. Raccoons. I'm not advocating the killing of innocent animals (or guilty ones, for that matter). But really. It's illegal? A few weeks ago I heard about a man being charged for shooting his dog. Apparently his dog was sick, he lives in a farm, it's too expensive to get the vet to do it, so he shot him. One shot. Done. He was charged. Cruelty to animals. And now, someone was charged for killing raccoons with a shovel in his back yard. So, let me get this straight: It's against the law to kill a raccoon with a shovel - that was actually two charges: cruelty to animals and weapons - but it's perfectly legal to walk into an abortion facility and kill a human fetus - and it's free. Our tax dollars pay for it. Surely, even people who don't think that a fetus is a "human being" would agree that a fetus is at least as valuable a life as that of a raccoon? Surely. Save the whales, save the dolphins, save the puppies and the baby seals. Save the racoons. Why is this not an election issue? If my tax dollars are being used to pay for abortions, with no restrictions (while my grandma has to wait six months to have knee surgery), I also want my tax dollars to go to the humane killing of racoons, so that my neighbour doesn't have to do it with the shovel.